Contaminated ground water: Permeable reactive barriers and reactive zones are sustainable technologies for groundwater decontamination to reach the goals of the EU Water Framework Directive. Multifunctional barriers, which are needed for multiple pollution, have been developed for chlorinated hydrocarbons and diluted landfill leachate. An economically viable pre-treatment option for leachate has been developed. 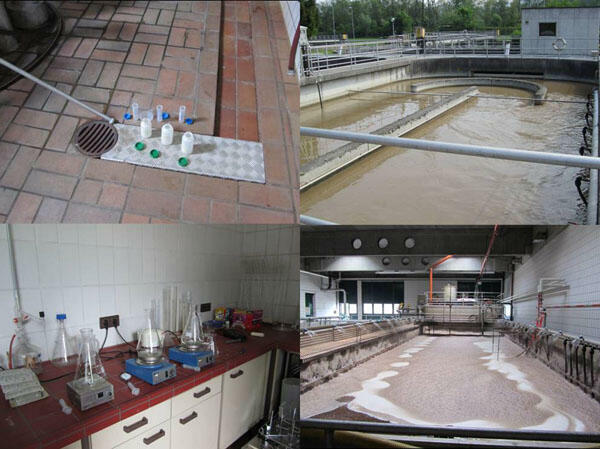 Microbial communities (AOBs and Anammox) were studied to optimize the performance of the DEMON® process and the treatment of high-strength wastewaters in the Strass and Salzburg wastewater treatment plants, respectively. These studies aiding the international success of the DEMON® process. The DEMON-process (single stage deammonification) was adapted and extended for leachate treatment and combined with chemo-physical techniques for removal of recalcitrant COD.